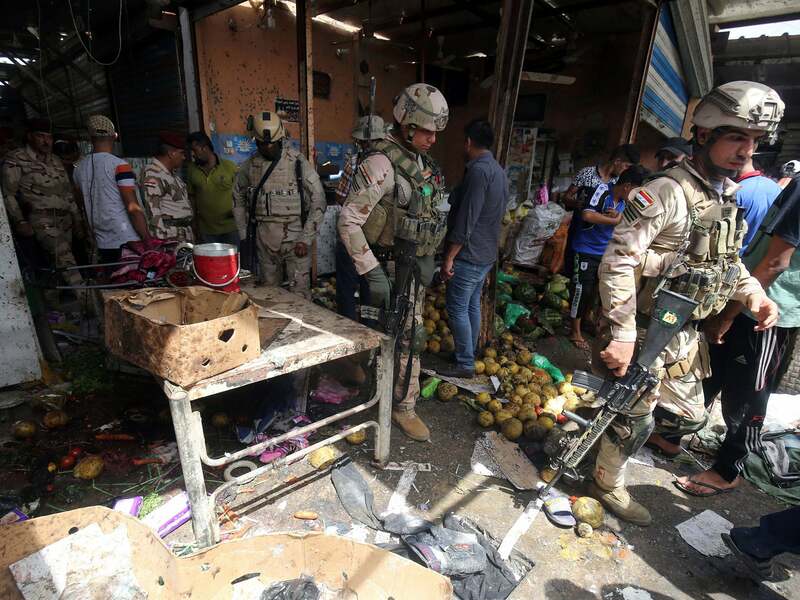 A suicide car bomb blast claimed by Islamic State killed at least 13 people and wounded more than 50 others at a vegetable market in eastern Baghdad on Sunday, police and medical sources said. The attacker drove the car through a gate to the market in the mainly Shi’ite district of Jamila, and detonated the bomb after security forces opened fire on the vehicle, a police source said. Islamic State claimed the attack in an online statement, saying the bomber had targeted “a gathering of Shi’ites” in the area, reports Reuters. A series of attacks in the Iraqi capital and other cities in the country have killed dozens of people in just over a week. Several have been claimed by Islamic State, which is coming under increasing pressure from a U.S.-backed offensive in Mosul, its last major stronghold in Iraq. Iraqi forces advanced to within several hundred meters of the Tigris river than runs through Mosul on Saturday, as their operation against the ultra-hardline group gathers pace. Islamic State is likely to resort to bomb attacks and similar tactics elsewhere in Iraq as it is driven out of its Mosul stronghold.